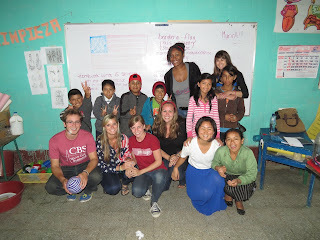 After 8 incredible weeks, my time in Guatemala has come to a close. May 11 seems like yesterday – I was boarding a plane, getting ready for a new adventure, not really knowing what to expect from all of this. Coming to Guatemala ended up being one of the best decisions I’ve ever made. I was blown away not only by the beautiful country and the warm, amiable people, but by their power to completely transform my life. What I saw in Guatemala was valuable in ways that many people can’t understand until they leave their home country. From the preservation of Kaqchikel, the traje and other Mayan traditions, Sololá, Guatemala gave me a taste of what it’s like to really have pride in one’s heritage. Despite all of its setbacks, the indigenous population of Guatemala is a show of true resilience. Nothing comes easy, but they’ve continued to work harder than anyone I’ve ever seen. It’s going to be an adjustment to settle back into life in America; traffic rules are actually enforced, I can’t hop in the back of a pickup and ride around town and lunch is going to cost more than the killer $3 meals at Chef Alex. Making these adjustments is always hard, but instead of forgetting my time in Guate in order to ease comfortably back into my usual routine, I’m going to embrace the change that happened in my life this summer. It’s hard to put in words, so I’ll just say this- Guatemala, you really blew me away. And I’ll be back.